When you hire a Certified Arborist for your tree service needs, you are selecting a specialist highly trained in tree care and maintenance. An arborist certified by the International Society of Arboriculture (ISA) has demonstrated that he has the knowledge, experience, and training to provide you with appropriate tree services. All Certified Arborists are required to pass an extensive exam developed by the leaders in tree care. Additionally, a Certified Arborist must participate in continuing education to learn the latest advancements in tree care in order to maintain their certification. Paul Oklevitch is a Certified Arborist with the ISA. Why Should I Hire a Certified Arborist? Tree trimming, pruning, and removal can be dangerous work that should only be attempted by a trained professional. As a Certified Arborist, Paul Oklevitch has the training, experience, and equipment necessary to maintain healthy trees and remove hazardous trees from your property. Additionally, do not accept tree service based solely on the lowest estimate. You should first consider the experience, credentials, and references to determine which tree service company will best meet your needs and budget. Be aware of door-to-door offers and fly-by-night tree service companies—improper tree trimming and removal can be dangerous and costly to correct. Contact Paul Oklevitch in Jacksonville, Florida, for complete tree services. 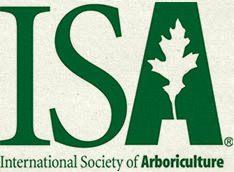 Note: Information regarding Certified Arborists provided courtesy of the ISA.